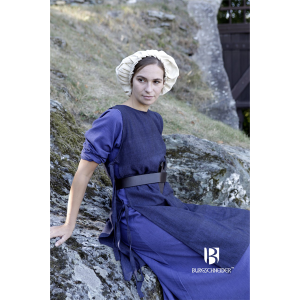 When you’re putting together a Larp, Cosplay, screen, or stage character costume, the finishing touches can make all the difference. 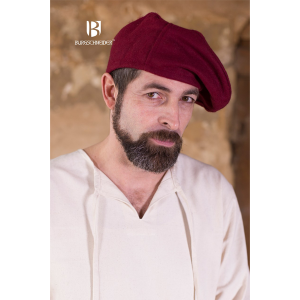 Our beautifully crafted range of historically inspired medieval hats and medieval hoods for both men and women, will ensure that your look is authentic and stylish. 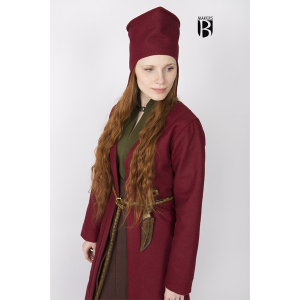 Whether you’re taking on a Viking, Norse, Medieval, or Renaissance inspired character, our range of Hats and Hoods features the perfect headwear for your role – including everything from bonnets, hoods, and headscarves, through to magician’s chapeaus, berets, caps, and more. Expertly designed and crafted to the highest possible standard, all of our Hats and Hoods utilise the finest traditional tools, materials, and techniques in order to deliver the optimum longevity, comfort, and durability, not to mention stunning aesthetics and an authentic effect. 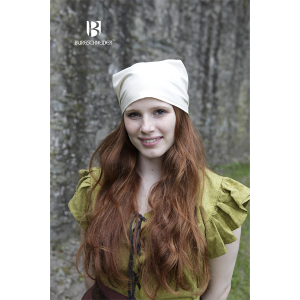 Catering for the needs of both male and female Larp, Cosplay, screen, and stage roles, all of our Hats and Hoods have been expertly designed and crafted to ensure that they add the ultimate finishing touch to your Viking, Norse, Medieval, or Renaissance inspired character. 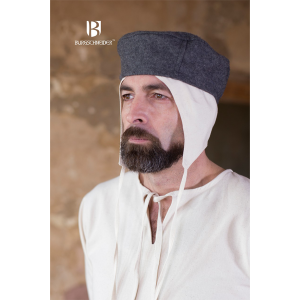 Our range of men and women’s medieval hats and medieval hoods include the Medieval Bonnet Anna, the Middle Ages Hood Curt, Medieval Coif Bertram, the Wool Beret Harald, the Skjoldhamn Hood Knud, and the Headscarves Set Marianne. 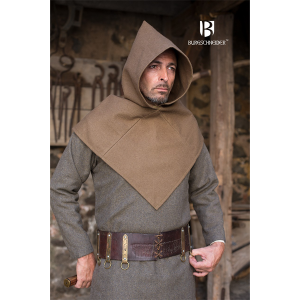 These high quality medieval hats and medieval hoods can be worn with our dresses and gowns, men’s medieval shirts and medieval tunics, ladies’ medieval coats and medieval cloaks, ladies’ trousers, Bags, Jewellery, and of course our Armour, in order create the perfect Viking, Norse, Renaissance, and Medieval inspired characters that are sure to make an impression on the stage or the screen, or at our Larp and Cosplay events. 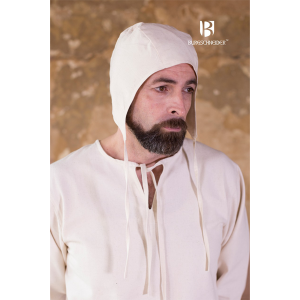 Thanks to their exceptional quality and durability, all of our Larp Hats and Hoods will remain in optimum condition for many years if they are correctly maintained and cared for. 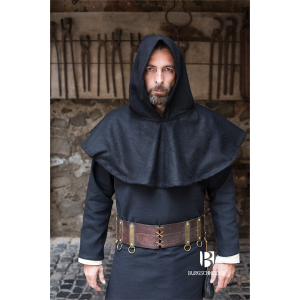 Here at Black Raven Armoury, we specialise in offering an extraordinary range of Viking, Norse, Medieval, and Renaissance inspired costumes that will allow you to experience incredible quality, expert craftsmanship, and outstanding attention to detail. 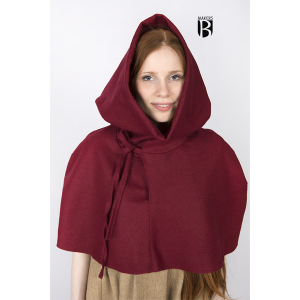 If you have any questions about any of our beautifully crafted Norse and Viking inspired Hats and Hoods, please do not hesitate to get in touch. Our friendly and helpful team is always on hand when it comes to pointing you in the right direction for all of your Larp costume needs.